What does Professor Jacobson want to do? According to the passage, which of the following is true of aircraft vapor trails? According to the passage, what does their model predict? According to the passage, which of the following is NOT true? How much have commercial airline flights contributed to surface global warming since 1850? How much of warming in the Arctic is produced by aircraft vapor trails? Why is Professor Jacobson’s study different from previous studies? According to the passage, which of the following does Professor Jacobson’s study NOT account for? According to the passage, under which conditions did aircraft emissions reduce the fraction of cirrus clouds? According to the passage, if black-carbon emissions are reduced 20-fold, what will happen? According to the passage, what does David Fahey think is absurd? According to the passage, when is soot created? According to the passage, what happens to soot particles before they land on a surface? Which of the following is NOT mentioned as a problem with soot? According to the passage, why do large numbers of people burn biomass fuels such as wood or animal dung? Which of the following does the passage NOT suggest as a good idea for the future? Coal, oil and gas are known as (fossil) fuels. When burned, these fuels release heat and provide (power) for every aspect of our modern society. 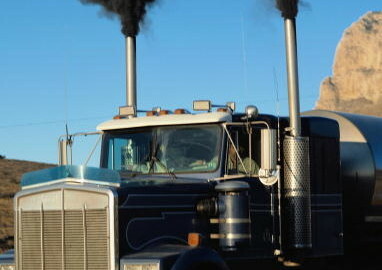 The two major problems with fossil fuels are pollution and limited (supply). The amount of fossil fuel use increases every year because fossil fuels are convenient to use and (transport). It is very hard for us to break our fossil fuel (habit). Sources of energy such as wind, solar, geothermal, and wave power are promising because they are (renewable). The cost of generating electricity from renewable sources is still much (higher) than it is for fossil fuels. A tax on carbon-based fuels may help us to (accelerate) the development of green technology. We need to reduce pollution and slow (climate) change but people don't like paying taxes. We conducted several (experiments) on vapor trails. Aircraft emissions are (responsible) for around one-twentieth of global warming. America's research into aircraft emissions has been (muddled). One problem with the research was that it was not based on actual emissions (data). European Union leaders are considering (calling) for new taxes as a way to stop global warming.